Gorgeous total remodel just completed! Ranch style- no stairs... Very open feel. Living room includes built in cabinets and shelving. Huge lot is lovely and treed. 3 bedrooms on main- super new kitchen has slab granite, new appliances, new cabinets and 2 pantries. All new laminate wood flooring on main level and basement level is brand new carpet. Master includes 3/4 bath updated. Family room with brick gas fireplace. Separate dining room has sliding doors to back yard. New windows. 2 non-conforming bedrooms and a very large carpeted bonus room plus the 3/4 3rd bath complete the basement. 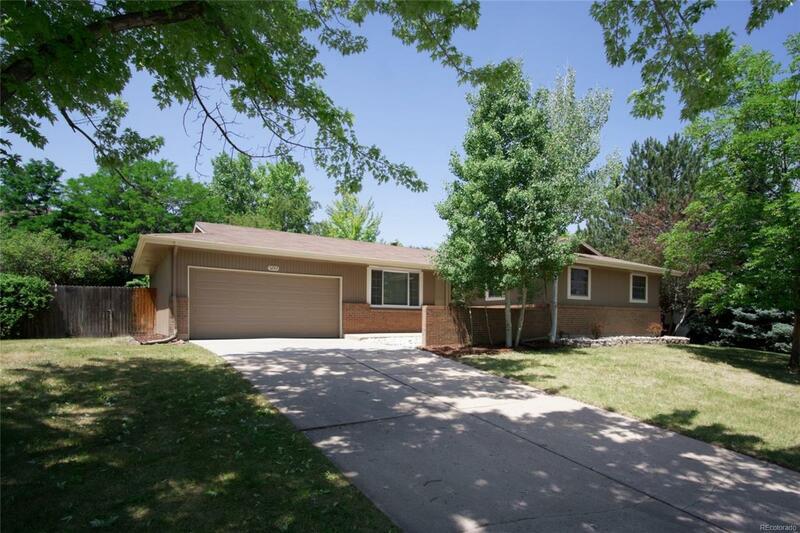 Really a nice home with Littleton Blue Ribbon Schools , shopping and parks near by. Offered by Mb Bancroft Pro.